Owning a home can be stressful. For many homeowners, it feels like you have to address repair after repair. So, it comes as no surprise that taking the necessary measures to protect the longevity of your home is extremely important. 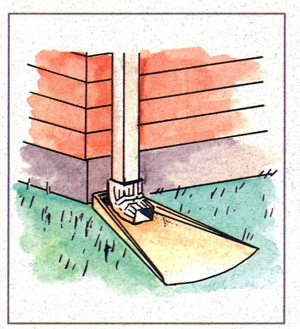 When it comes to mother nature and rain, gutters will help stop water from coming in your basement. That is if they are properly installed on your home. When it comes to quality installation and long lasting gutters that will help keep water away from your basement, our team at Minnesota Leafless Gutters is the perfect partner for you. If your gutters aren’t properly functioning and water is coming into your basement, this can lead to very bad issues. Over time, water can cause mold as well as damage flooring and carpet. Even worse than these issues, water can cause damage to your home’s foundation. Rather than risking this type of damage that can cost a lot of money to repair, why not invest in seamless gutters from Minnesota Leafless Gutters that will stop water from coming in your basement for multiple decades. Our gutters will collect the rain off of your roof and safely transport the water away from your basement through the downspouts. What is great about teaming up with our expert gutter installation staff, is that your initial inquiry comes with a free inspection and estimate. You’ve got nothing to lose by contacting our team to get a free gutter inspection. Through this inspection, we’ll evaluate your current gutters and determine the best course of action, whether that is repairs or replacement. From there we will provide you with an affordable estimate on our seamless gutter options that will stop water from coming in your basement for the long haul. All of our gutter installations are customized so that the gutter system seamlessly fits to your home, creating the perfect fit. Homeownership can be very stressful. If you are concerned about water coming into your basement, investing in high quality gutters is a great solution. This is a great step towards protecting the longevity of your home. When investing in gutters, you want to partner with a contractor that gets the install job done right the first time around. That’s exactly what you get by partnering with our team at Minnesota Leafless Gutters. To request your free gutter inspection and estimate, give our dedicated staff a call today at (612) 221-0362 or email mnleaflessgutters@gmail.com.